Have you ever posted a complaint about a brand on a social media channel? If so, did they respond? I’d wager many of you said yes. And whether or not a response was received, I’m sure, affected your opinion of the brand. 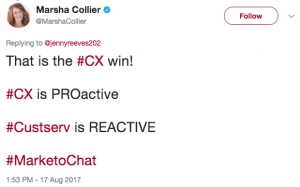 With social quickly becoming the most preferred channel for customer service, we asked bestselling author Marsha Collier to sit down with us to explore how brands can adapt to shifting customer expectations. 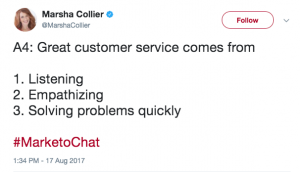 In this blog, I’ll cover Marsha Collier’s top tips for social customer service. What trends are shaping customer service on social media this year? 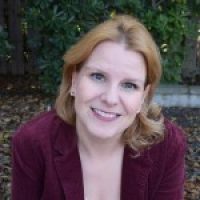 The mere mention of chatbots tends to elicit strong opinions both for relevance and usefulness in adoption in social customer service, as well as, distaste for the lack of authenticity bots provide. The key seems to be in creating a more human-like experience. Most customers are looking for simple, efficient ways to find, order, or book things online. Bots can check customer profiles, provide immediate responses, and handle thousands of requests at once. The preference customers have for “always on” hours can be met with chatbots. In a recent study by Aspect, 61% of the respondents preferred chatbots for simple requests. However, when customer inquiries become more in depth, chatbots are not seen in quite as a favorable light. The challenge for marketers moving forward will be avoiding bot-speak. Utilizing humor, keeping responses simple, and implementing Natural Language Processing (NLP) and machine learning that can lead to an expansion in the bots ability to respond and develop a basic linguistic understanding will become key to adoption moving forward. What are the core elements of a good social customer service strategy? Like all good communication, social goes two ways. You need to always be listening. It’s impossible to offer a solution to a complaint you never see. Online customer service really has become a spectator sport. If your customer chooses to interact with you in public, respond in the same way. If you respond in private, you’re losing that chance to be open and transparent about the feedback. So what’s the best way to respond? Offer an apology AND a solution. Show empathy with a ‘We hear you, value you, and want to make this right immediately!’ approach. A simple “I’m sorry” is important and goes a long way. What are the top ‘do’s’ for providing great social customer service? Should brands respond to every complaint posted on social media? The short answer is yes. Social media is a public forum, allowing interactions to be amplified, whether they be negative or positive. Responding to complaints becomes an opportunity to turn a disgruntled customer into a brand advocate. If a consumer has invested in your product, “liked” your Facebook page, and/or followed you on Twitter, they must have some loyalty to your brand. By submitting a complaint via social, they typically just want an acknowledgment that they’ve been listened to and that you’re making every effort to resolve their issue. Responding, to every single complaint can have long-lasting effect. 70% of consumers helped via social customer service return as a customer in the future (Ambassador). However, it’s important to make an effort to take switch channels from public to private as quickly as you can. You’ll often need to get personal information like email, phone, account info to adequately address the issues. So for support inquiries that require research to resolve, your goal should be to switch to a private channel after your initial public response. Interested in learning more from thought leaders? Be sure to join our next #marketochat on how to rise above the noise with content marketing with Pam Moore on Thursday, September 28 at 1pm PT.